Fostered with a team of brilliant professionals, we are able to manufacture and supply quality approved range of Aluminium Ingot Casting Machine. 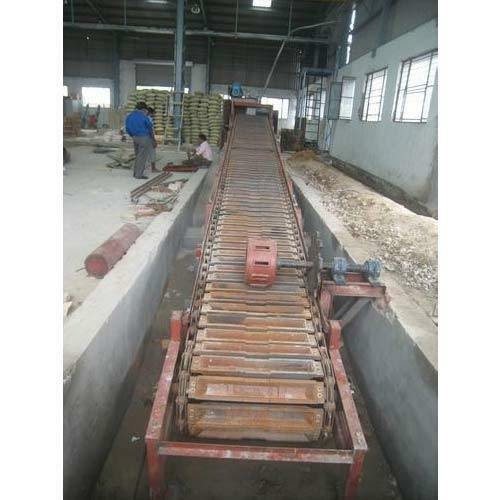 The offered machine is used in various industries for different processes like hardening, tempering, heating and other. Precisely manufactured, this machine is examined against several quality parameters to ensure its quality. Moreover, this machine can be availed by our valuable clients in various specifications and models at industry leading prices. Incepted in 2014, we “Excellent Industrial Furnace”, are reputed Manufacturer and Supplier of qualitative array of Aluminium Scrap Recycling Plant, Lead Battery Scrap Recycling Plant, Copper Scrap recycling Plant, Vacuum Ladle, Aluminium Transfer Ladle, Aluminium Crucible Furnace, Aluminium Ingot Casting Machine, Copper Recycling Plant, Lead Refining Pot, Rotary Furnace, Impact Pulverizer, Billet Reheating Furnace, CI Mould, Combustion Blower, ID Fan, oil Heating & Pumping Unit etc. We also undertake consultancy designing, manufacturing, erection & commissioning of industrial furnaces for non ferrous metals such as Aluminium, Copper, Lead, Zinc etc for recycling plants. we have been able to gain tremendous success in this domain. Located at Saroorpur Faridabad (Haryana, India), we are supported by technologically advanced infrastructural base. Our infrastructural base encompasses functional divisions such as Procurement, Production, Quality Testing, R & D, Warehousing & Packaging and Sales & Marketing. Additionally, our production division is resourced with cutting-edge machinery and technology that assists us in manufacturing reliable products.